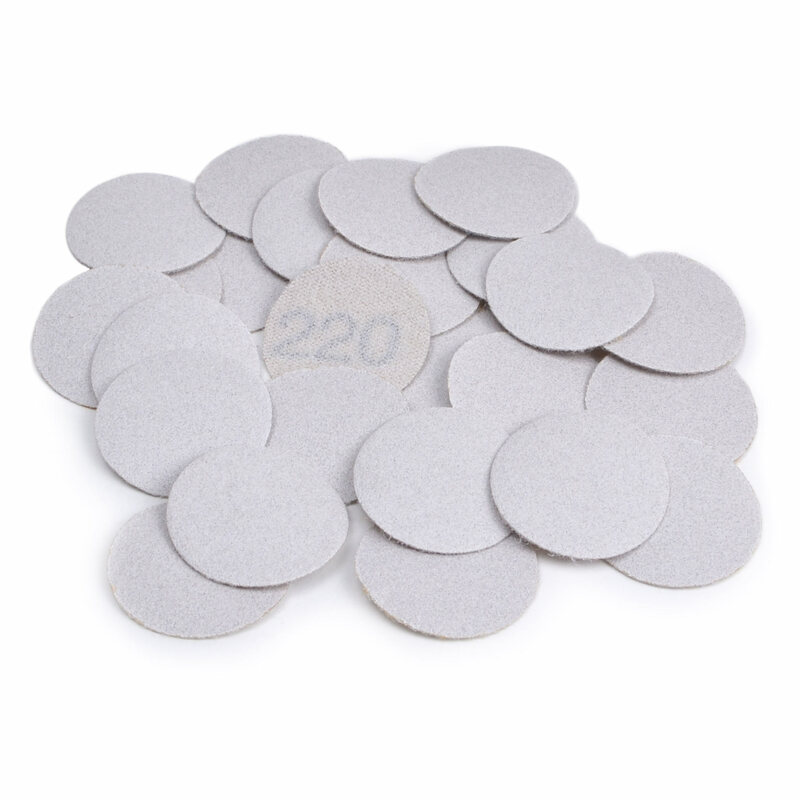 1" Hook-and-Loop-Backed Abrasive Disks are designed for use with our 1" Cushioned Sanders (#86926 - 1/8" shank and #86925 - 1/4" shank, available separately) for smooth finishing of contoured, curved and rounded surfaces. Package of 25. Available in 80 grit (#86930), 120 grit (#86931) and 220 grit (#86932).